Home Politics Is Donald Trump a Nazi? Is Donald Trump a Nazi? Louder with Crowder did another, "Change My Mind" segment this time asking, "Trump is NOT a Fascist, Change my mind." Of course, we can easily just end this debate by simply stating that Trump can't be a Fascist because he is not a Socialist. Nazis are of course "National SOCIALISTS" so by definition Fascists are a left-wing party. Shocker I know. Bernie Sanders for example, IS a Nazi. All of his policies reflect Fascist policies and in fact until recently Bernie Sanders was for closing down the border and protecting the Nation. Shocker I know. So, what is a Fascist? 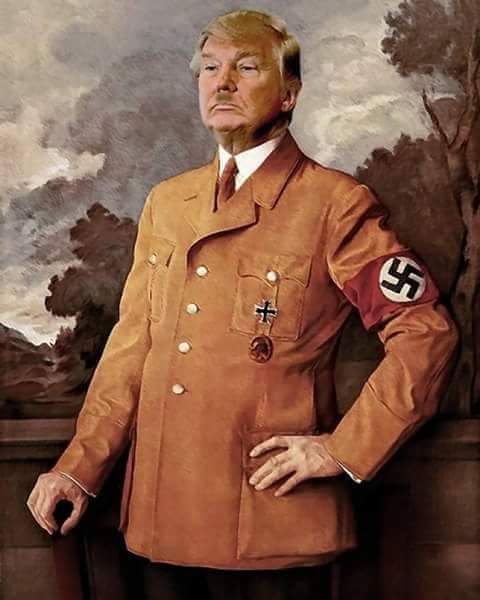 You decide, is Trump a Mein Fuhrer?